Cause for everything you win, there’s something lost. Thanks to World Harvest Radio for years of broadcasting those country music awards. Yes, I fell for country music and some of those blue grass when I was in school. But, I never felt like writing a quick thank you note for a QSL card, you know how lazy I am when it comes to writing to some radio stations. It was really awesome catching those distant (from Guam, if I can remember) airwaves from Bangladesh. Well, as a shortwave listener from my early years, I tend to listen those media news, like launching new radio stations (whether clandestine or whatever), new technologies on satellite radios, and other communication stuffs … specially Media Network from my favourite happy station, Radio Netherlands. 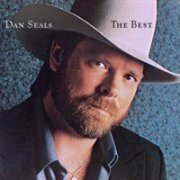 And, then I found Dan Seals with Everything that glitters (isn’t gold) on World Harvest Radio. Great song, isn’t that right? To be true, Dan’s early memories of his grandmother’s stories eventually led to the writing of “Everything That Glitters (Is Not Gold). Actually, Dan spent considerable time with his grandparents. Did you hear his acoustic album In a quite room? Lately (not that lately, couple of years back, I suppose) I found Dan on VOA. Small world! Thanks once again to WHRI for introducing talented people like Alison Krauss too. 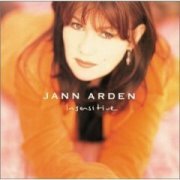 She has got a great voice. Hope to post something on her soon.